There has to be something said for a man in pink. Our Quendon isn’t quite a man yet, but he sure is a handsome, growing teenage boy. 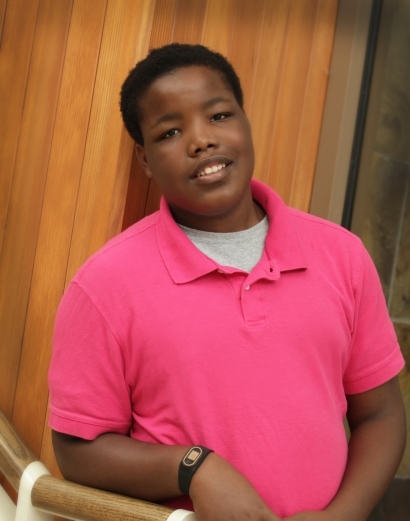 This friendly young man loves basketball and football, as well as any activity outside. He also loves playing video games. Quendon may seem to have it all together in this photo, but he also has his own battles. He can struggle with authority and finds it difficult to respond appropriately when he gets mad. His forever family needs to be a single male or two-parent loving and patient household that will allow him to be an only child and encourage Quendon, as he is an intelligent young man that has a lot of potential. His forever family will need to advocate for Quendon through participation in counseling, both for him and as a family. Quendon needs and deserves a family that will stand with him, determined to help him as he develops into the man he is meant to be.